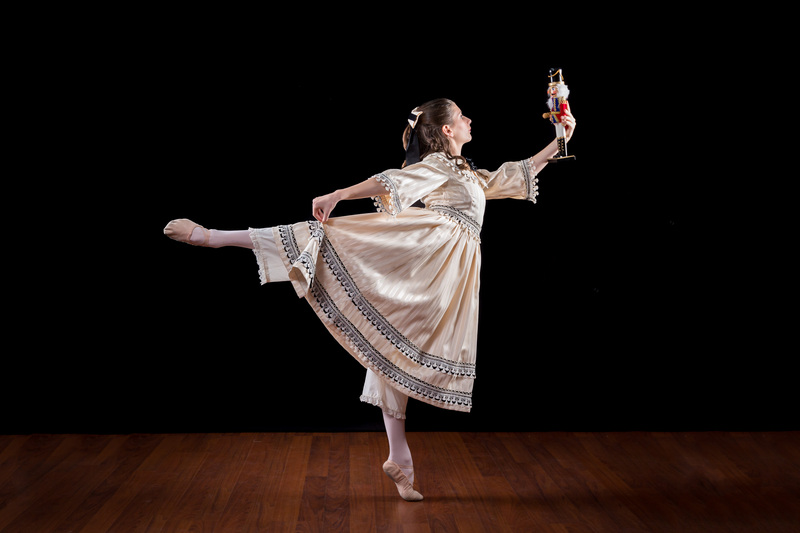 Lisa Condit recently spoke with Leland Pierce who is playing Clara in The Nutcracker Friday, November 23 – Sunday, November 25. Read on for highlights from their interview or listen to the full interview below. Lisa: Leland is a star, up-and-coming ballerina. Leland, you landed the coveted role of Clara. Tell us what that was like. Leland: I don’t know how to say it any other way… a dream come true! It’s always been such an amazing role for me to be able to watch, and I don’t know how to explain it. LC: You’ve worked so hard for this role, and you’ve done so much training. You are a student of our conservatory, so that gives you an edge with your technique, but you also went to The American Grand Prix. How did that help you in your audition process? LP: I feel like it added to the artistry. Being able to watch so many dancers from around the world and see how they express their love for dance really helped me realize how I want to show people how much I love dance in my performance. Lisa: You’ve been in The Nutcracker before. What other roles have you played and how has that helped you to develop your artistry? Leland: This is my third year in The Nutcracker. I’ve been a small party girl and a big party girl. I like the party scene because there is also a lot of acting and working with other people, which brings out artistry. This year, it brings back what I’ve learned, and it’s helping me get into what it’s like to be be Clara, not only as a dancer but also as a performer. Lisa: What are your favorite parts in the production? Leland: I just always adore the Sugar Plum Fairy and the music. It’s always so inspiring to me. And the snow scene is really magical with all the waltzes and the Pas de Deux with the Snow King and Queen. It’s so graceful. Lisa: It’s just a great production. The costumes are beautiful, the music is live and it’s uplifting, the scenery is fun. The story is fun. How do the rehearsals help bring the fun into the roles? Leland: I think it has been most helpful the way the directors and the coaches have worked on technique, but that’s why you’re there, because of the classes that we have. They spend a lot of time reminding us how we really need to get into the character. We need to step out of our everyday lives and think about what it would be like to really be a small party girl. The Nutcracker is a great production and it’s an honor to be part of it!